Besides blogging about InDesign and Acrobat, I actually have my own publishing company. I am pleased to announce the we have just launched the newly redesigned website for Verity Yacht Publications. 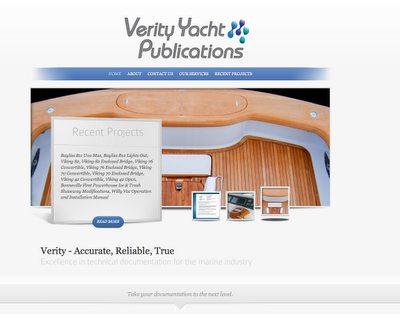 Verity specializes in graphic design and technical documents for the marine industry. We'd love to get your feedback on our new look. Leave a post in the comments. Looking forward to hearing from you!